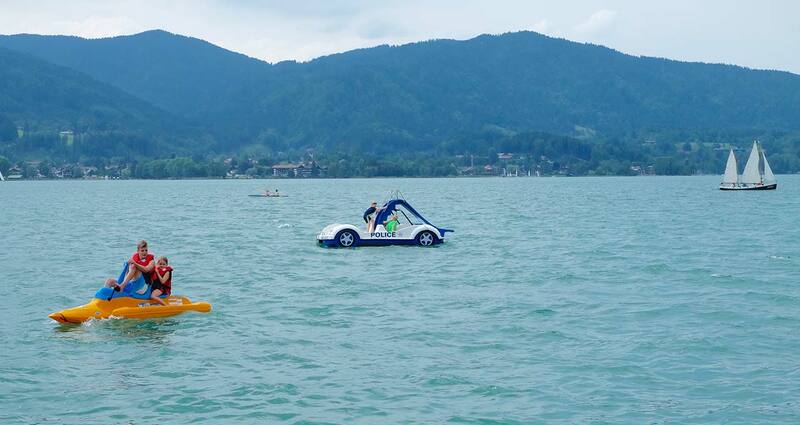 At our boat rental in the town of Tegernsee you can enjoy the beautiful Bavarian lake with its sparkling waves and the panoramic view of the Alps. You can cross the lake with our classic and elegant boats or sportive with kayaks and stand-up paddle boards. In the maritime ambience of our small port you can relax and spend the day dangling your feed in the water or sit back in the lounge group and enjoy a drink. 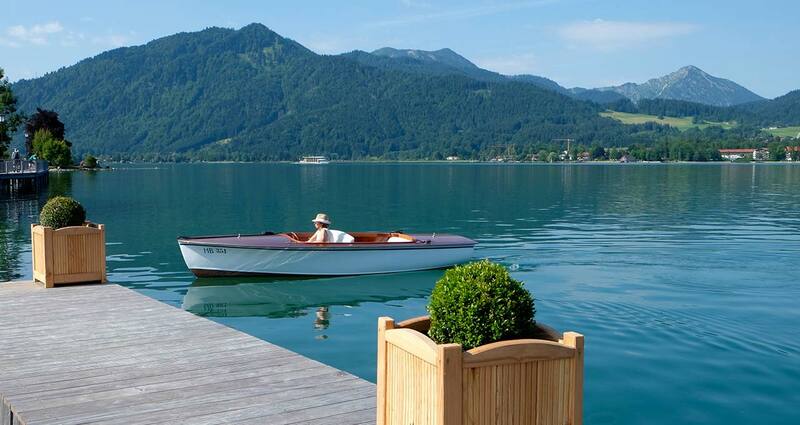 Our boat rental in Tegernsee is the perfect place to revive on a warm sunny day. Charm, exclusivity and passion for beautiful boats characterize our fine selection of ecological electric-boats. Each boat has been individually selected and customized by hand with our ideas. 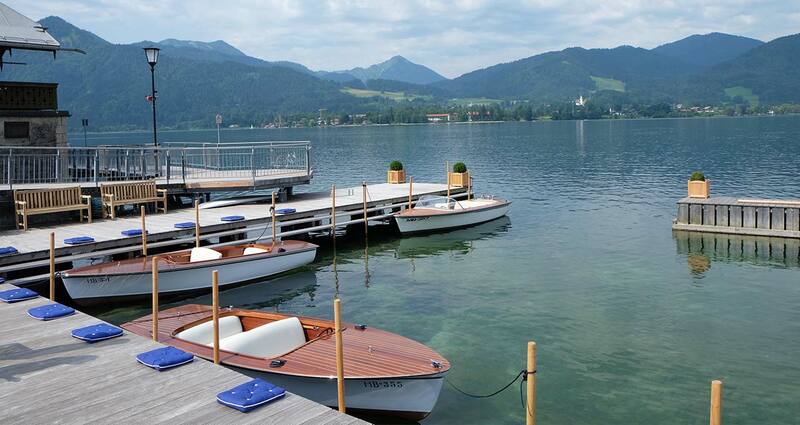 With a fine wooden mahogany decks or in a maritime blue style, they offer a special bliss to explore the Tegernsee. Our center of water-sports guarantees fun and exercise for the whole family. With the fancy electric-boats, the stand-up paddle boards or kayaks we offer a diverse selection for every type of entertainment.